First I must apologize for linking to a Fox4KC story, as I know many of my audience do not care very much for the station. And I must apologize for being days behind in posting this. My preparation for my month in Asia has taken a lot of my time. The story is simple, but also highly important. Landon Patterson, a Senior at Oak Park High School in North Kansas City, came out on YouTube to reveal to the world that she was transgender. Not only wasn’t she expecting the show of support from her friends, who rallied behind her, but she certainly wasn’t expecting to be nominated as homecoming queen for the high school. She will find out on September 12 if she made the grade, to become the first transgender homecoming queen in the history of Kansas City. This entry was posted in Education, Testamonial, Youth and tagged high school, homecoming, Kansas City on August 26, 2015 by . I’m always happy when I see runs at homecoming royalty or the prom which involve these visible, fearless, fighting transkids. I admire so much their courage and strength for doing what they have to do, and it often reminds me of just how bad it was in the 1980’s to be LGB, let alone T in high school. I am always amazed when I step into a high school nowadays for a lecture or for youth counseling just how different of a world these kids are living in and being educated in. It’s times like that when I truly don’t feel so afraid for the future. Of course, all you have to do is read the comments at the bottom of the article, and then you’ll see why I’m so afraid for the present. 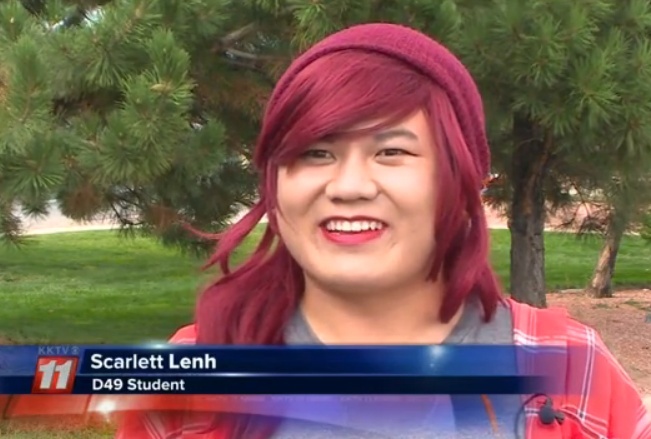 Transgender Teen Up For Homecoming Queen. This entry was posted in Activism, Education, Fashion and tagged colorado, high school, homecoming on September 12, 2014 by . It’s going to be that time of year again, when some schools crown their homecoming “royalty,” and all of them will matriculate students. And as we saw last year this time, the news will possibly be filled with increasing cases of transgender acceptance, and transgender discrimination. The hope of course is that each year we will see more of the former and less of the latter. Teacher Bill Allen is the student advisor for the Gay-Straight Alliance on campus. He says East Meck is known as a school of diversity. He says Brockington’s achievement is the first step in representing what many of the students believe. “Our young people understand we are all different. We have all races, genders and religious backgrounds. We have kids representing 30-40 languages in this school and people learn to accept each other as they are, and I think this is an example of what is going to be happening in North Carolina,” he said. As we transgender people are well aware, sympathy or membership with one minority group does not necessarily extend to sympathy with any other minority group. However, the system seems to be working at this high school. 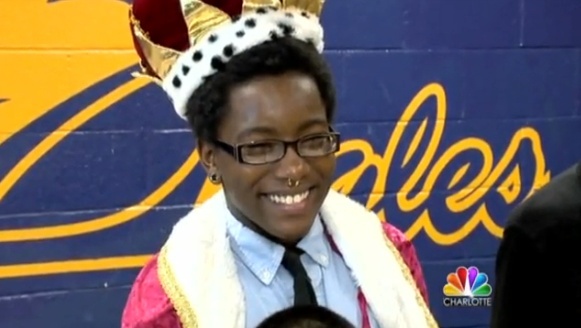 East Meck crowns transgender homecoming king | WCNC.com Charlotte. This entry was posted in Education and tagged high school, homecoming, transmen on February 9, 2014 by . 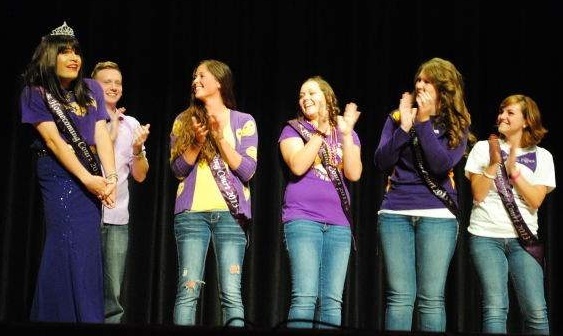 UNI students select transgender homecoming queen | The Argus Leader | argusleader.com. This entry was posted in Activism and tagged homecoming, university on October 13, 2013 by . Although we hear more and more of stories such as this, the quotes in this article were especially touching. 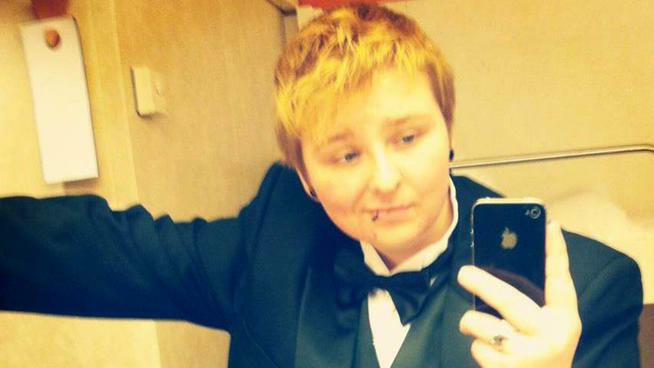 Concord High in Concord, New Hampshire, elected Ray Ramsey, a transman, homecoming king. But this quote below is the most touching. Imagine a world where such open and complete acceptance was the norm, rather than the exception. Is it possible? Can we do it? 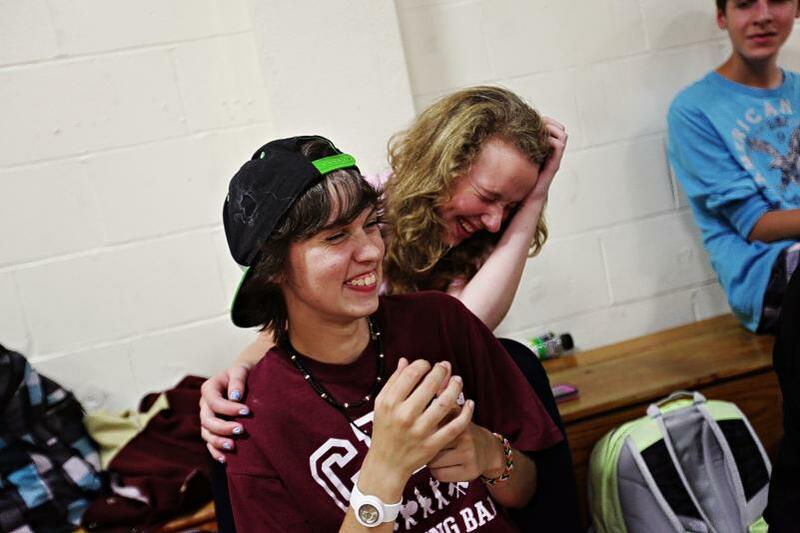 Concord students choose transgender student as homecoming king | Concord Monitor. This entry was posted in Activism, Youth and tagged high school, homecoming, new hampshire, transmen on October 6, 2013 by . Really, we’re going to be seeing two spates of these sorts of stories from now on. In the fall, it will be homecoming queens and kings. In the spring, it will be proms. In today’s case, we have young Kasey Caron, a transboy who wanted to run for homecoming king at his school. Of course the school board went on RED ALERT, and decided that they MUST DO SOMETHING TO STOP THE TRANSGENDER MENACE. Or whatever. Anyhow, Kasey can still be on the ballot as queen, and he says if elected he will make the best of it – good for him! Transgender Student Loses Battle to Be Put on Pa. School Homecoming King Ballot | NBC 10 Philadelphia. This entry was posted in Activism, Youth and tagged high school, homecoming, pennsylvania, transmen on September 24, 2013 by .